You’re a reader of this blog, TrustMatters. How do you receive it? Do you subscribe to it in your e-mail inbox? Do you look at it through an RSS reader? Do you click on a link and read it in a browser? Well, now you can be the coolest kid on the block. You can download an iPhone app for TrustMatters. It even looks pretty cool; see for yourself. No more lengthy waits for your phone browser to load; no more typing in too many letters for the small screen. Download the app, and voila–one touch TrustMatters. Dozens of recent blog posts, available at the touch of your index finger. How cool is that? 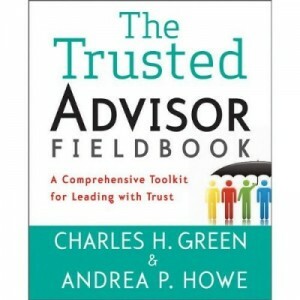 How to get it: go to the iPhone appstore, search on Motherapp, then scroll down to Trusted Advisor; the screen image is the one you see above right. (It’s on about the 4th-5th screen). Of course, the really really cool thing is that you too can have your own app. Not only that: you can get it for free. This comes courtesy of the good people at Mother App. In their words, they are "the industry-leading provider of cross-platform mobile applications." Not just the iPhone platform, either. I am happy to promote them, because they have given me something of value, and I like the way they do business–sample selling, giving without attachment in order to receive. Check them out, at their website. I am not a techie, just a curious dabbler. If you already understand the app’s deeply, much less every programmer, please stop here before you embarrass me. To me, the experience made me understand a little better just what constitutes an app. In a sense, it is nothing more than a customized URL. Its first cousin is a bookmark in a browser; or, more accurately a tabbed URL in a browser. It sacrifices a small part of your screen in return for convenience in accessing a site. You can already create your own app for segments of certain sites. For example, I made my own app of the op-ed page in The New York Times. There was a practical limit to how many apps any of us can accommodate, after which we need another meta-tool to search among the apps. But at the level of several screens of apps, which seems to be the most common among iPhone users, it is a valuable trade-off for several highly trafficked destinations. And until everyone suffers from app over-load (perhaps not that far off), I just think it’s pretty cool to have your own app. I like mine, hope you do too.